With all the instagram and iPhone artists out there today, you are totally going to want to see all of your guests’ photos. You could just search Facebook newsfeeds and Flickr accounts to see all the fun and candid pictures, or you can collect all of those photos in one place with Wedding Snap. 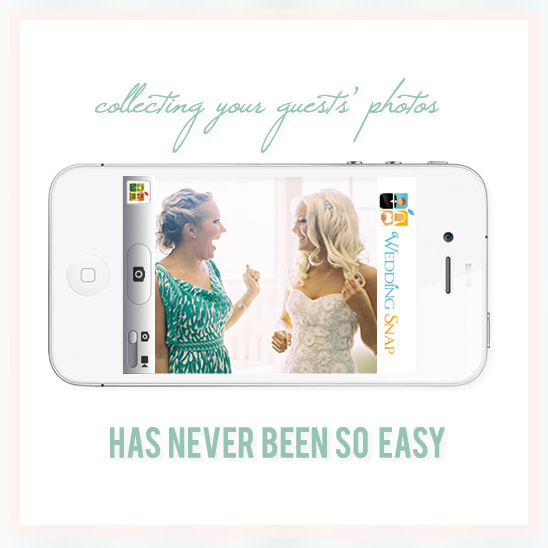 View all of your guests' photos instantly, and see everything from their perspective! Even if your guests don't have smart phones, they can still upload their digital camera photos directly to your album after the wedding. This way, all your wedding memories are preserved in one place. Not only will you have all of your beautiful wedding photographs from your photographer, but you will also have a behind the scenes look from all your guests. So, now you’re probably thinking, how does it work? You sign up, create an album code (example Ashley25), and share that album code among your guests through 250 personalized information cards that Wedding Snap sends you. 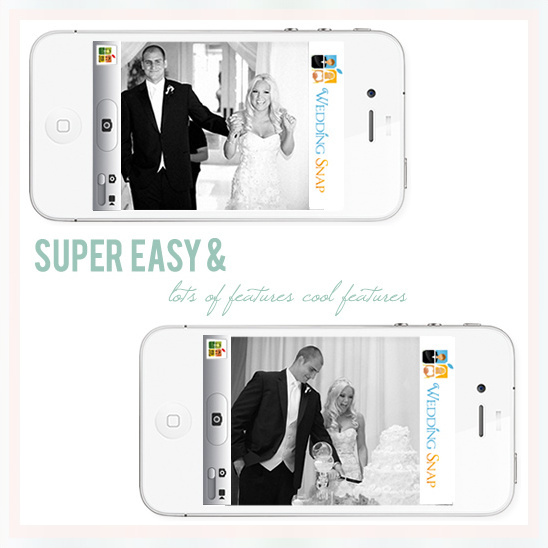 As an added bonus: The first 20 people who visit Wedding Snap can get $20 off with the code: Chicks20. Here are some other great features that Wedding Snap offers, click here to learn more about their packages. • 250 customized print information cards. 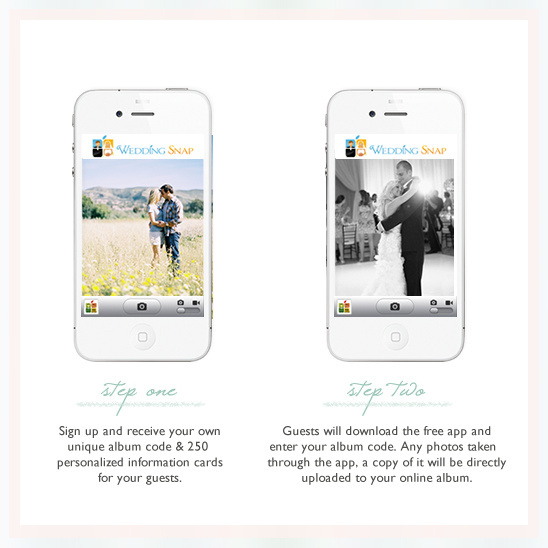 • Separate albums to collect all your memories in one place for your bachelorette party, rehearsal dinner, you name it! • You can get your images retouched by a professional photographer.